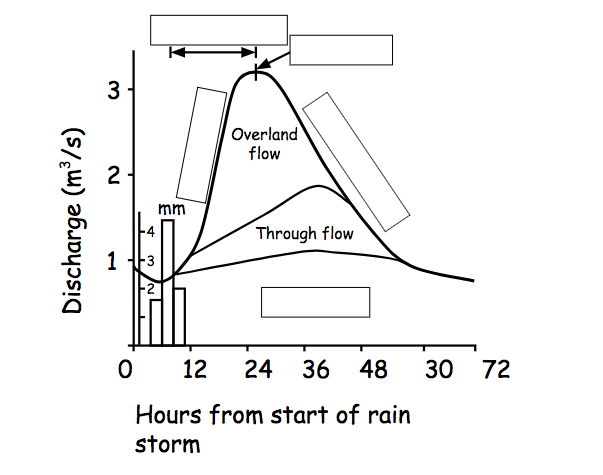 River discharge and its relationship to stream flow, channel characteristics and hydraulic radius. What is a "river regime"? The regime of a river is the way in which the discharge of the river changes over time or in the course of the year. A river in NW Europe where precipitation falls year round. 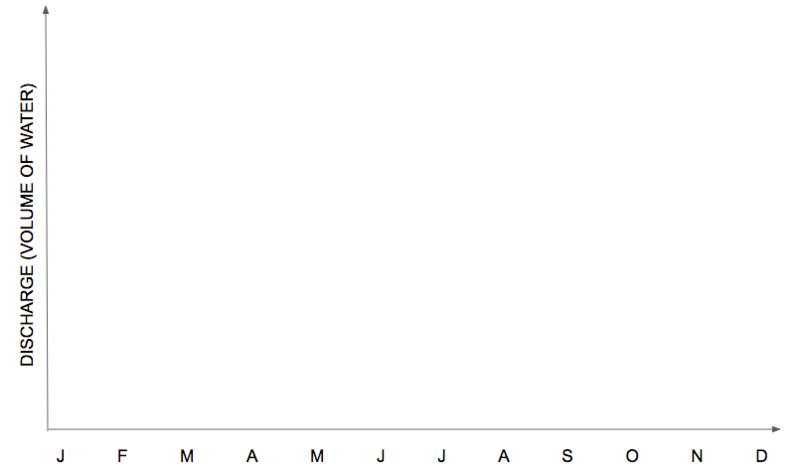 During the winter months precipitation falls as snow which does not melt until March. Storm hydrographs show how the discharge of a stream or river changes after a period of rainfall. Understand how factors like vegetation, land use, water abstraction and dams, hydraulic radius, stream flow can affect the hydrograph of a river. Watch the video clip below carefully. Can you write a commentary which explains and links what you see to the storm hydrograph?! 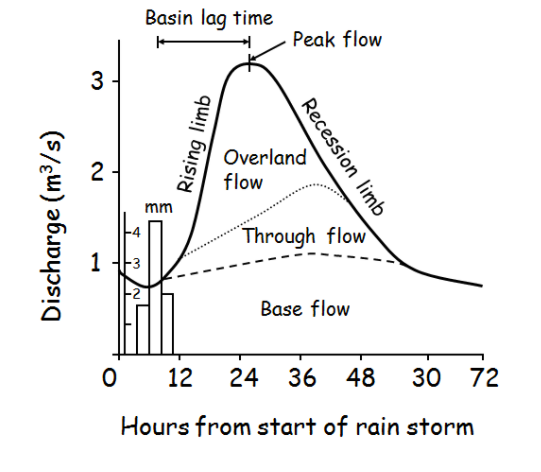 For each, try to sketch the storm hydrograph before and after and make sure you can justify what you think.